I received my IBWAA Hall of Fame ballot in my inbox yesterday. I look forward to it every year, as it is an honor to be able to vote for players I feel are worthy of baseball’s highest honor. It also gives me the opportunity to really dive into the numbers, or as my wife calls it “fall down the statistic rabbit hole”. You will see that article in about a months time, where I breakdown my votes and why I voted the way I did. Since I occasionally get asked this, in the IBWAA we do things a bit differently than the boys and girls over at the BBWAA. We have a number of guys who have been voted in (Vlad Guerrero, Edgar Martinez) that the BBWAA still has on their ballot. We are also able to vote for 15 players instead of the 10 the BBWAA are left with. Finally, we don’t have a former player like Joe Morgan send us a letter, trying to sway our vote with arrogant confidence and ignorant hubris…and for that I am grateful. Now, I’m not going to get into a huge debate over the Hall of Fame or steroid use in baseball; I have done that so much over the years that I’m just bored with it and it just seems to agitate me. I will tell you that if you want my opinion on the Hall, read this; I wrote this a few years back and it pretty much encompasses my feelings on “cheaters” in the Hall. So I’m not going to get into a big debate about steroid use and Cooperstown. But…I do have a few comments about what Joe said and just who Joe is speaking for. I hate to tell Joe, but I’m pretty positive there is someone (or likely more than one) in the Hall who used steroids. Oh yeah…Mickey Mantle took steroids. So right there, you have a player in those “hallowed halls” that falls below Morgan’s standard for Cooperstown. Pretty sure you won’t catch ol’ Joe looking to pull “The Mick” and his plaque. Look, there is a some validity to the Mitchell Report but lets not act like it is a 100% guilty verdict. That is just someone wanting to believe guilt without the proof. Body-altering chemicals? You mean like performance enhancers? So players who used amphetamines, right? Because, if we are being honest, amphetamines are enhancing a players performance…and Greenies were used in baseball up until they started testing for amphetamines back in 2006. Greenies were prevalent in the game for years and were widely used during Morgan’s playing days. In fact, players like Hank Aaron & Willie Mays have both been linked to amphetamines over the years…and no one is asking those two to leave Cooperstown (nor should they). Does this include Gaylord Perry? Is he appalled by the cheating? So when do we point out the selfishness of baseball for allowing steroids to be used all those years? The owners? The GM’s? Bud Selig? I’m sure their selfishness won’t allow them to return all the money they received from fans flooding the ballparks during this period. You can put some of the blame on the players, Joe, but there is enough blame to go all the way around. Honestly, baseball has never been a pure game and never will. If I’m being completely honest, when I first read this letter, it felt sanctimonious and hypocritical. Reading it again doesn’t make me change my mind. In fact, it just further cements my initial thoughts of the ignorance in Joe’s words…and how Joe is being used as a puppet. One of the great honors of being a member of the IBWAA is that come September we vote on the season awards, just like the BBWAA. Last year I filled out my first ballot and I learned a few things. One, never turn in your ballot until sometime in the final week. I turned mine in about two weeks early and was kicking myself within a week. Yep, one’s mind can change. Second, there is no way not to take this serious. None. I look at stats all year long, and even still I’m not for sure it compared to the number crunching I did the last two years before turning in my winners. With that said, I was very pleased with the end results and feel confident throwing out how I voted for the year-end awards. So without further ado, here are my picks for the 2015 Major League Baseball season awards. I know the consensus was this award should go to Toronto’s Josh Donaldson, and I won’t tell you that is the wrong vote. No, Donaldson is just as deserving as Trout and either vote is a solid vote. That being said, I give Trout the edge for a few reasons. Let’s start with the main stats that everyone loves: They tied for homers, Donaldson had about 30 more RBI’s, Donaldson edged Trout in batting average, while Trout had the advantage in On-Base Percentage and Slugging Percentage(in fact Trout led the league in slugging). Now to the meaty stats: Trout over Donaldson in OPS+, 176 to 155. bWAR has Trout over Donaldson, 9.4 to 8.8. fWAR has Trout slightly edging out Donaldson, 9.0 to 8.7. Donaldson does have the edge defensively by quite a large margin, but not enough that I would give the win to him. All that is a compelling argument for Mike Trout, as most of the numbers are in his favor. But here is where the scale is tipped for me…Trout spent part of the year dealing with nagging injuries, as is evident if you look at his numbers month by month. Trout not only came back to raise those numbers, he also practically put the entire Angels team on his shoulders in September, keeping them in the pennant race into the final week. In fact Trout’s line in September looks like video game numbers: .315/.430/.648 with 8 homers and 16 RBI’s. 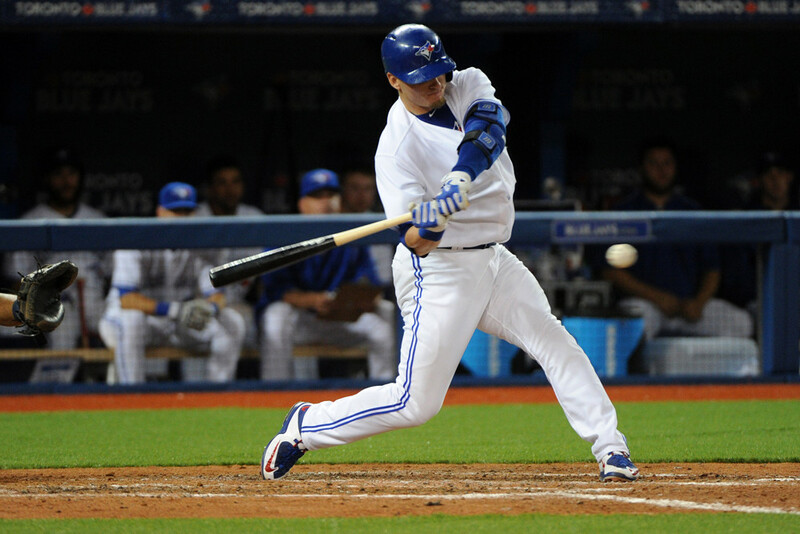 Yes, Josh Donaldson was on a playoff team, but if you take him out of Toronto’s stellar lineup you still have a team that could probably win the American League East. Take Trout out of the Angels lineup and that team is out of the race before September. At the end of the day, Trout was more valuable to his team than Donaldson, thus he is my winner for AL MVP. Very rarely does a player have a season where he is sooooo dominate that they should be a no doubt MVP, where an unanimous vote seems like the logical way to go. But this year in the National League, Bryce Harper was ‘The Man’ and there really is no debate. Harper, in his age 22 season, led the National League in so many categories that I almost thought he led the league in saves and wins. Harper was the front man in runs, home runs, On-Base Percentage, Slugging Percentage, OPS, OPS+ and both fWAR and bWAR. Harper had the type of season we all expected when he was selected by the Nationals as the #1 Draft Pick in 2010. The funny part is he still has room to improve, which is frightening if you are an opposing pitcher. Harper led this Nationals team to the brink of the playoffs this year and outside of the stupidity of Jonathan Papelbon, he would have about as perfect a season as a player can have. The one stat that blows my mind more than any is his OPS+, a staggering 195(remember, 100 is average). His season is the 71st best in baseball history, which seems great but not out of this world stupendous. If you take out all the players in the ‘Dead-Ball Era’, Harper’s season is the 50th best of all-time. I decided to go a step further, going off of seasons since 1950. Taking that into affect, Harper had the 24th best season by a batter in the last 65 years! What this amounts up to is a without a doubt MVP and possibly the beginning of a career we could be discussing in detail within the next 5-8 years. There was a number of awards this year that felt like a tight race and this would be another one, as David Price and Dallas Keuchel both seemed like worthy winners. At the end of the day, I chose Price and the more you digest the numbers you can see why he has started to grow a resume that puts him as one of the top elite starters in baseball. Price only lead the league in ERA(2.45) and pitchers WAR, but it was all the other numbers together that make his case. Price is no lower than 6th in Innings Pitched, Wins, K/9, BB/9, HR/9, Left On Base %, ERA(1st), FIP(2nd in the league), xFIP, and fWAR(1st with 6.4, Keuchel is 3rd with 6.1). Price did all of these while switching teams in July, as he was traded to Toronto and helped them clinch a playoff spot while driving them to the ALCS. I wouldn’t disparage a vote for Keuchel, but at the end of the day it felt like this was Price’s award to win so my vote went to him in a highly contested race. It was a magical season in 2015 for the Chicago Cubs and a big part of that was because of Jake Arrieta. This was another close vote, as Zack Greinke of the Dodgers also put forth a Cy Young caliber season and a vote for him also made sense. I went back and forth on this award more than once, but finally settled on Arrieta for his work down the stretch. Arrieta led the National League in Wins, Games Started, Complete Games, Shutouts, H/9, HR/9, while finishing 2nd in pitchers WAR, Innings pitched, FIP, xFIP and ERA, and 3rd in Left on Base %. What Arrieta did the last couple months of the season really set him apart from both Greinke and Kershaw, as Arrieta made sure whenever he pitched that the Cubs more than had a chance to win that day. From August through the end of the season, Arrieta was 11-0 with an ERA of 0.41(allowing only 4 ER in 88.1 innings), including a no-hitter and 2 shutouts. While the Cubs were fighting for their playoff lives, Arrieta stepped up and made this a season to remember. Greinke and Kershaw both had amazing seasons, but Arrieta was out of this world when it counted the most. 2015 was a banner year for rookie shortstops in the American League, as both Carlos Correa and Francisco Lindor would get called up mid-season and were sparkplugs for their team’s as they tried to lock up a postseason berth. Correa’s team would advance, while Lindor’s Indians came up just short, which I’m sure to some would give Correa the edge. But what on the surface seems like a blow away win for Correa as ROY, I give the nod to Lindor and it isn’t as close as you think. I know a lot of press has been given to Correa’s offense, as they should. Correa reminds me of Alex Rodriguez early in his career, as he combines power and speed and appears to only grow from here. But if you want the whole package, Lindor is your man. While Correa led with the power numbers, Lindor led in batting average(.313 to .279), and On-Base Percentage(.353 to .345), while categories like wOBA and wRC+ were close enough that it could be a scratch. What pushed Lindor over the edge for me was his WAR, and more specifically, dWAR. Lindor led Correa this past season in bWAR(4.6 to 4.1) and fWAR(4.6 to 3.3) but defensively Lindor was a top notch defender while Correa was closer to average. This defensive edge gave Lindor the nod in my eyes as their dWAR wasn’t really close at all(1.7 to 0.6) and Lindor led Correa defensively in 2015, 14.9 to Correa’s -1.6. A vote for Correa isn’t a bad vote, but in my eyes the battle of rookie shortstops in the American League was fronted by Lindor in this rookie campaign. It wasn’t just the home runs that won Kris Bryant this award. Okay, the home runs helped, but Bryant, as much as he is known for his power, is also a hitter with a good eye and a knack for learning from his mistakes. So in his rookie campaign it’s no shock that Bryant stood head and shoulders above his peers. Bryant led all NL rookies with 26 homers(tied with Joc Pederson), but also led in On-Base Percentage and fWAR while being second in wRC+. Maybe the most surprising item from Bryant this year was the amount of positions Bryant played, as manager Joe Maddon bounced him around the diamond. 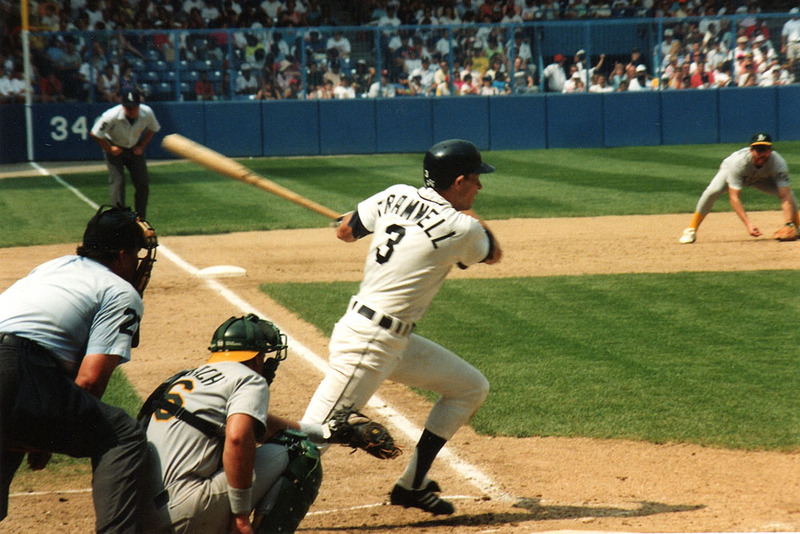 His main position was 3B, but he also saw time at 1B, and all three outfield positions. For a guy who had only briefly experimented with the outfield, Bryant held his own and even held up a slightly above average dWAR. There are parts of Bryant’s game that still need work; he did lead the league in strikeouts, with 199. But that can be worked on and more than likely will be in Spring Training. Overall it was a positive rookie season for this young slugger and he looks like he will be one of the cornerstones of this Cubs team for a number of years, as rookies Addison Russell and Kyle Schwarber also saw time in Chicago this season. Be scared, National League pitchers. Be very afraid. The ‘surprise’ team of the American League could very well be Houston, as they’ve got a nice mix of veterans and youngsters that could be better sooner rather than later. But Minnesota? Nope. Look, I have praised the Twins young prospects for the last few years, knowing they are lurking in the background. But the thought was 2016 would be the first year you would see Minnesota start contending again. Instead, Molitor was able to mesh all the young talent they have with veterans like Torii Hunter and Brian Dozier to keep this team in contention all through the season. Oh, and this was also Molitor’s first season managing in the majors. What Banister and Hinch did was great work; what Molitor did was borderline ‘miracle worker’. That is why I chose Paul Molitor for American League Manager of the Year. People love Joe Maddon and what he did for the Cubs this year, and he deserves the praise he will get for getting Chicago to the playoffs. I love Maddon as much as the next guy, but figured he would turn that Cubs team around. Which is why my pick for NL Manager of the Year is Terry Collins. The hope when the season started was that the Mets would compete with the Nationals during the season and maybe make the playoffs as a wild card. Instead, the Nationals blew a tire down the stretch and the Mets sauntered in to grab the NL East. In July the Mets were contending, but didn’t look like they would be winning the division. The offense was struggling, but the rotation had brought some young arms to help and Matt Harvey looked like the Harvey of old. Yoenis Cespedes was acquired before the trade deadline and the Mets were soon off to the races. Collins did a great job this year managing Harvey(and his agent), and the youngsters while also getting veterans enough playing time to appease them. New York had an interesting mix of players this year and Collins dealt with it like a pro. Credit goes to Maddon and Clint Hurdle on great years for their teams, but it didn’t feel like they had to juggle as much as Collins. Yes, the Yankees duo of Dellin Betances and Andrew Miller had great years, as did Zach Britton of Baltimore and Cody Allen of Cleveland. But to me, there is no more dominate reliever in the game right now than Wade Davis. All Davis did this year was put up back to back seasons of 1.00 or below ERA’s while flat out dominating the competition. For relievers in the American League, Davis was 6th in fWAR(2.0), 7th in HR/9(he gave up one this year, to Jose Bautista), led in Left On Base %(92.2), 1st in ERA(0.94), 7th in FIP(2.29), averaged over 10 K/9, and had a ridiculous ERA+ of 444(100 is league average). Davis also closed some games this year, as he had mostly been the setup guy for the Royals in 2014. Greg Holland dealt with some injuries this year, and in September when it was announced Holland was done for the year and would be requiring Tommy John Surgery, Davis slid into the closer role, a role that felt already like it belonged to him. Trust me, you can make the argument for any of the relievers I mentioned above but none of them make a batter feel defeated before he even steps to the plate like Wade Davis. Did you read what I wrote above about Wade Davis? The same pretty much goes for Aroldis Chapman of Cincinnati. Chapman is one of those relievers who is practically unhittable and continued his dominance in 2015. Chapman led the ‘Senior Circuit’ for relievers in K/9(an astounding 15.74), ERA(1.63), fWAR(2.5), 4th in LOB%(88.5), 2nd in FIP(1.94), 4th in xFIP(2.49) and an ERA+ of 244. Chapman had some solid competition this year in Trevor Rosenthal of St. Louis and Sergio Romo of San Francisco, but alas neither had the dominance of Chapman. The interesting part is that Cincinnati is a team that probably won’t be contending in the near future and Chapman’s value has never been higher. It’s a possibility that when the 2016 awards are handed out a year from now, Chapman will be with a different team. The possibility of Aroldis Chapman on a contender makes for a interesting scenario come playoff time. So those are my picks this year. Go ahead, debate them or even agree and with some of these races the debate could rage on till the end of time. What I can say is that I feel confident with my votes and really felt like I crunched a bunch of numbers to get to these decisions. Be ready though; once award season is over, that means the Hot Stove season starts to pick up. Who knows, we could have a 2016 award winner switching teams this offseason. That is one of the great things about baseball; all it could take is a switch in teams to ignite a player to greatness. Although I have the feeling I will be talking about Mike Trout again next year…and Bryce Harper as well. Yep, baseball is great my friend! 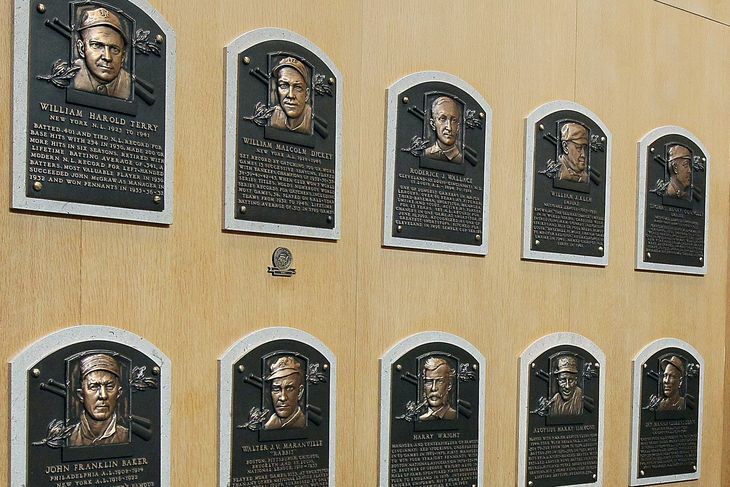 On January 6th, the National Baseball Hall of Fame will announce their 2015 inductees, with expectations being that multiple players will be enshrined into the Hall this summer in Cooperstown, New York. There has been a plethora of debate concerning the voting process done by the BBWAA the last few years and how to handle possible PED users. This has cause a number of worthy players to be passed over, even without any evidence proving their taking of said substances. It has become harder and harder for voters to turn in their ballots, as the Hall allows up to 10 votes and many members of the BBWAA feeling as if more than that amount are worthy of the Hall’s honor. Last year I wrote up what my ten votes would have been if I could vote. This year I officially did get to vote, as a member of the IBWAA, and there were some notable differences between the BBWAA voting procedure and the IBWAA’s voting. For one, you can vote up to 15 candidates for the IBWAA, while the BBWAA has held fast to 10. Also, the IBWAA has already voted in Mike Piazza and Craig Biggio, while Barry Larkin(who is in the National Baseball Hall of Fame) has not. I ended up voting for 12 players and to save a bit of time I will be posting a link to my picks last year for some of the same candidates. Also, to get a better idea of just how difficult the voting process has become, read Jay Jaffe’s article on voting. So without further ado, here is my IBWAA ballot for 2015(in alphabetical order). Jeff Bagwell was on my list last year and I am still amazed he hasn’t gotten voted in. Many voters are suspicious of PED use, despite not evidence to any besides his body getting bigger between his time in the minor leagues and his ascension to the majors. Bagwell was not only one of the best hitters of his era, but also stellar defensively and on the basepaths. 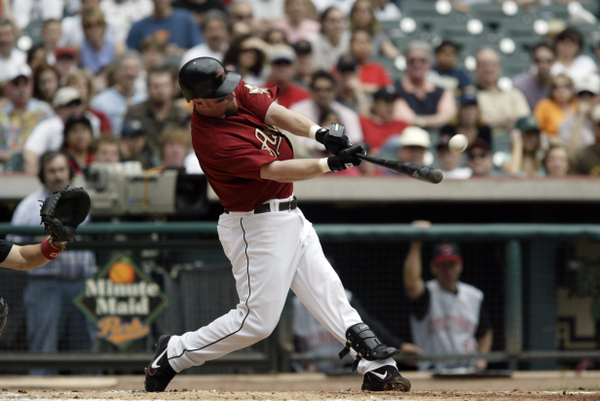 To me Bagwell is a slam dunk candidate and a major disservice has been done by excluding him from the Hall. 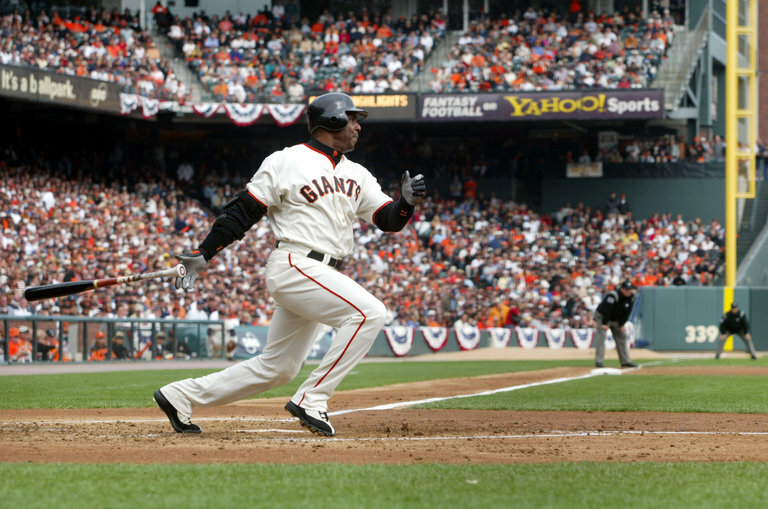 Barry Bonds was also on my list in 2014 and is easily one of the greatest baseball players ever, the all-time home run king and that is all tainted by supposed steroid use. To me Bonds was a Hall of Famer before his supposed use and was a 5 tool player early in his career. 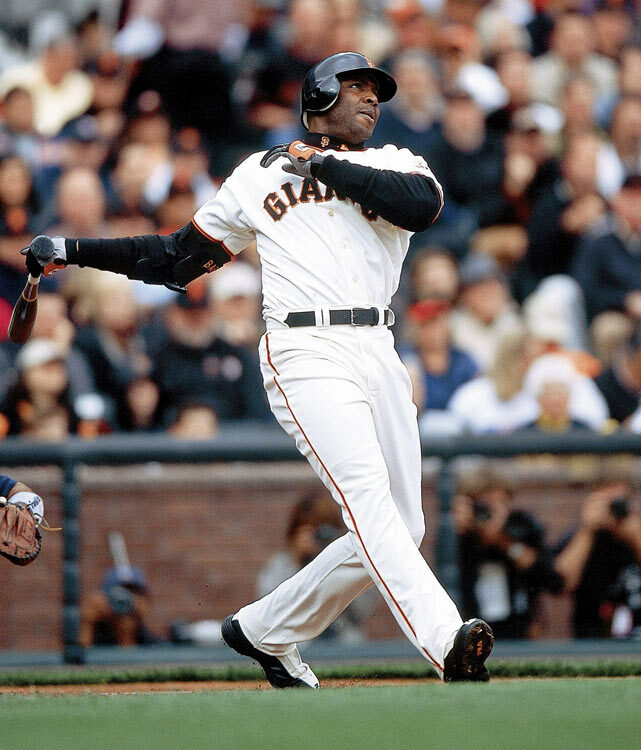 We can debate all day about whether or not PED users should be allowed in the Hall(and I am someone who believes the Hall of Fame is NOT sacred ground) but what is easy to decipher is that Bonds is one of the greats of the game. ‘Nuff said. Roger Clemens is another 2014 vote for me and like Bonds, has the PED albatross around his neck. Clemens is the greatest pitcher of his era, a 7 time Cy Young award winner and should have been a first ballot Hall of Famer. Instead we are stuck continuing an argument that might never finish and also like Bonds, might have to wait for the Veteran’s Committe to get voted into Cooperstown. 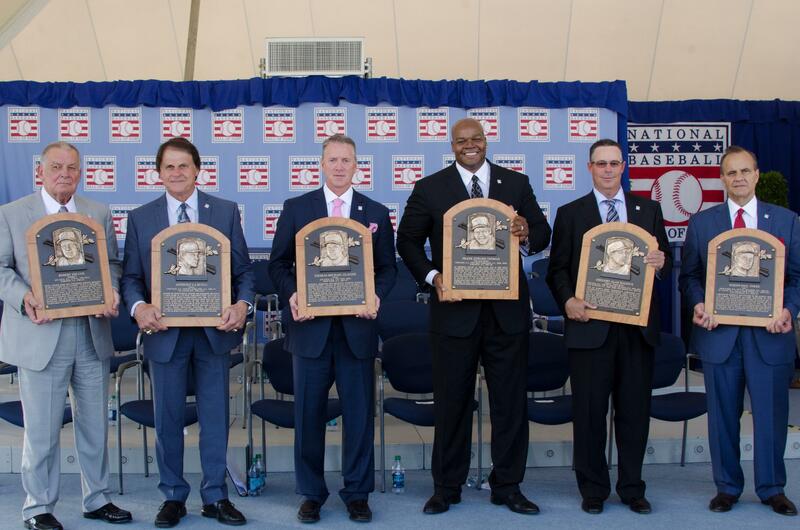 Clemens deserves to have a plaque next to the Johnson’s, Koufax’s, and Gibson’s of the world. When(or if) that happens is another issue. 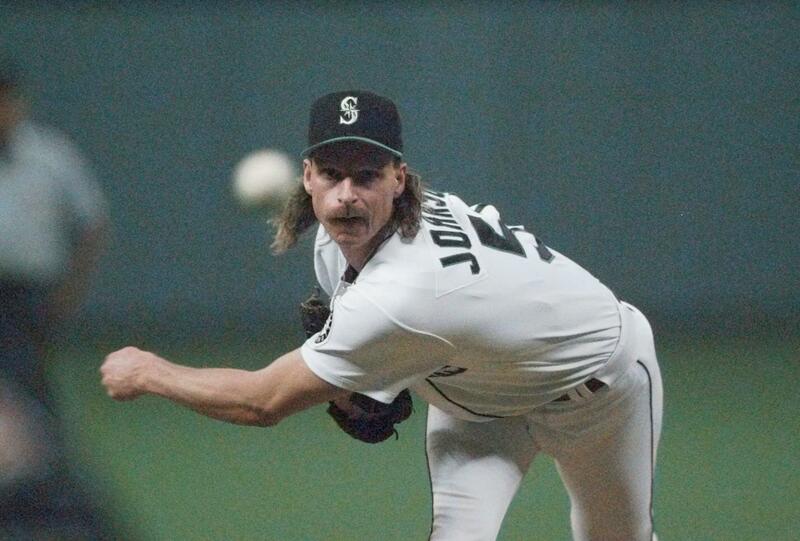 Randy Johnson is on the ballot for the first time this year and is a guaranteed lock to be voted in this year. It’s pretty easy to see why; 5 time Cy Young winner(placing 2nd 3 times), 2nd career in strikeouts(4875), 1st all-time in K’s per 9 inn(10.61), 23rd all-time in ERA+(135), over 300 wins and a 104.3 career WAR. Need More? Randy Johnson had 45 games in his career where he struck out 13+ batters while walking no more than two–most in the 1914-2014 span, by 21. All this from a guy who when he started his career in 1988 it wasn’t guaranteed that he would be a top shelf starter. Sure, he had the stuff(an electric fastball that reached triple digits and a hard, biting slider), but Johnson was also known for having control issues. Even as late as 1992 Johnson still had a BB/9 of 6.2, but after that year he never got above 3.8 walks per 9 the rest of his career. Johnson threw 2 no-hitters in his career, the 2nd was the 17th perfect game in major league history. Randy would also dominant on the big stage of the playoffs, especially in 2001. 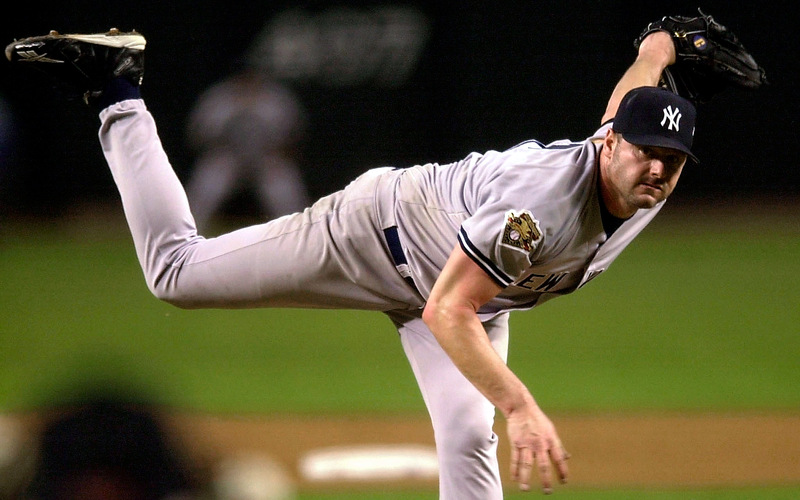 During the playoffs that year for Arizona, Johnson would beat Atlanta twice in the NLCS and then pick up 3 wins against the Yankees in the World Series, the final victory coming in relief in Game 7, after he had pitched 7 innings the night before in Game 6. Johnson was as dominant in an era known for lack of dominance by pitching, and held that standard for a number of years. When you think of the greatest left handed starters in major league history names like Koufax, Spahn and Carlton instantly spring to mind. 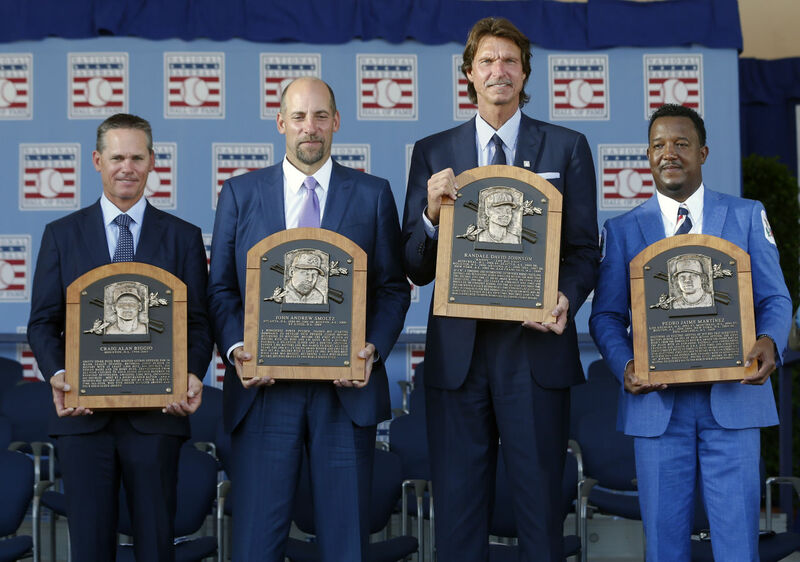 Randy Johnson is easily in that group and should easily slide into the Hall of Fame this year. As mentioned earlier, Larkin has already been inducted into the National Baseball Hall of Fame, but not yet in the IBWAA’s version. It’s a shame really, because Larkin was the next evolution of offensive shortstop, following in the footsteps of Cal Ripken, Jr. in the 80’s. Larkin pretty much did everything(a 5 tool player), which was a big part of why he was one of my favorites of all-time. 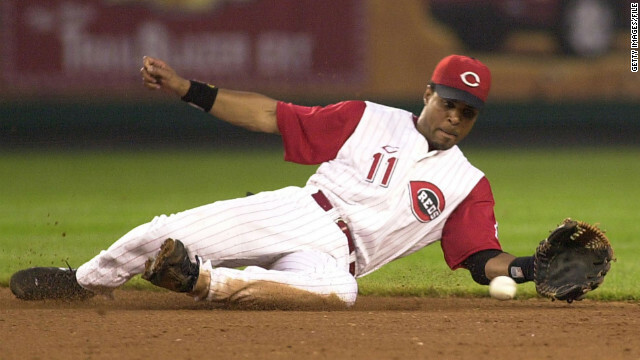 Larkin was a 12 time All-Star, 1995 NL MVP, 3 time Gold Glove winner, 9 time Silver Slugger winner, 5 times was in the top 10 of WAR in the NL(7 times for just position players), the first shortstop to have a 30 HR/30 SB season and is 22nd all-time in SB% (83.11). Larkin wasn’t flashy but he was consistent and was the blueprint for future shortstops like Derek Jeter, Alex Rodriguez and Nomar Garciaparra, combining offensive punch with defensive prowess. Larkin is what most shortstops of that era shrived to be, a Hall of Famer. 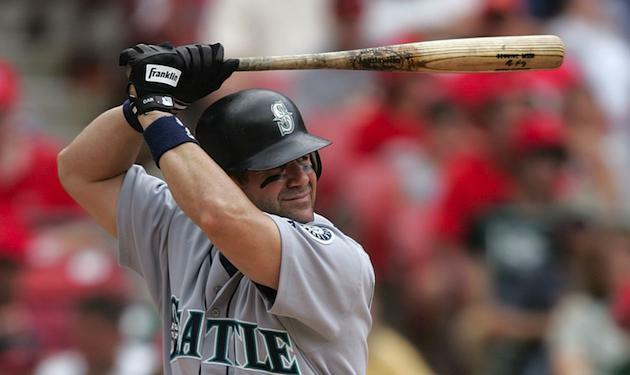 Edgar Martinez has been looked over for years but he was an easy pick for me last year. Edgar is the greatest Designated Hitter of all-time, and one of the greatest hitters in baseball history. Apparently Martinez not playing much in the field hurts his case, but that honestly should be superseded by the fact that he was so good at one thing(hitting) that he is 76th in career WAR. Still don’t believe Edgar belongs? The stats easily tell a story, that of a Hall of Fame player . Pedro Martinez is much like Randy Johnson, a man who dominated in an era(the Steroid Era) where offense was king and pitching was hard to come by. Pedro was elite in this era, posting numbers who by themselves are jaw dropping, let alone when stacked next to his cohorts. 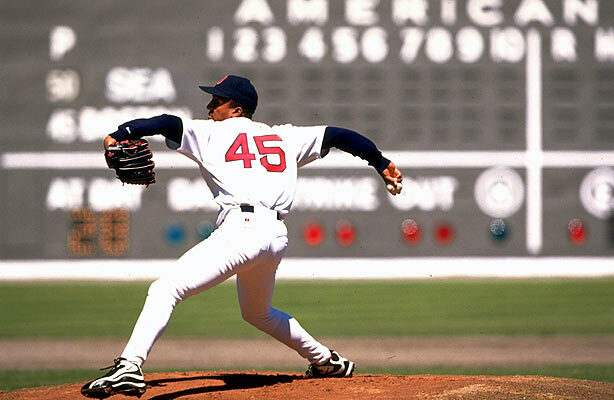 From 1997 to 2003, Pedro Martinez maintained a 213 ERA+. 1997-03, Pedro Martinez 213 ERA+. 1992-98, Greg Maddux 190 ERA+. Sandy Koufax career-best 190 ERA+ in 1966. Pedro’s list of accomplishments during his 7 year peak almost look like ridiculous video game numbers: 5 times lead league in ERA(twice under 2! ), 3 times lead AL in strikeouts, and 5 times lead AL in ERA+, FIP, and WHIP. Martinez was unhittable in a period where everyone and everything was hittable. Martinez was a 3 time Cy Young award winner(2nd two other times), an 8 time All-Star, 2nd in the MVP voting in 1999, twice lead the AL in WAR(3 times for pitchers), is 6th all-time in career winning percentage(.687), 5th all-time in WHIP(1.054), 3rd all-time in K/9 (10.04), 13th all-time in career strikeouts (3154) and 2nd all-time in ERA+(154). All this from a guy who most believed would throw his arm out due to his small stature. In a time where muscle bound behemoths ruled the game, a small 5’11” 170 lbs pitcher made them all look like fools. That greatness will propel him into the hallowed halls of Cooperstown this summer. Doing some HoF research. Mike Mussina is 19th all-time in Ks and his carer WAR was 83.0. Pedro Martinez’s was 84.0. So here are just a few of the numbers Mussina compiled during his (what should be) Hall of Fame career: 5 time All-Star, 6 Top 5 finishes in American League Cy Young voting, 7 time Gold Glove winner, 57th all-time in career WAR(24th all-time for pitchers), 19th all-time career strikeouts(2813), 89th all-time career ERA+(123), and 270 career wins. Mussina also pitched a large chunk of his career during the ‘Steroid Era’ and the two ballparks he called home during his career(Camden Yards and Yankee Stadium) were both hitters parks. I’ve always considered ‘Moose’ the right-handed equivalent of Tom Glavine, a guy who wouldn’t blow you away but put up solid numbers year after year. Last year was Mussina’s first year on the BBWAA ballot and he compiled 20.3% of the vote, which I have to believe will go up this year. He was one I had to leave off last year but with the extra votes this year it was easy to add him to the mix. If you want flashy, Mussina isn’t your guy. But if you want a top of the rotation starter who you can rely on year after year for quality starts and quality innings, Mussina was a lock. Eighteen years of that quality should also mean he is a lock–for the Hall of Fame. 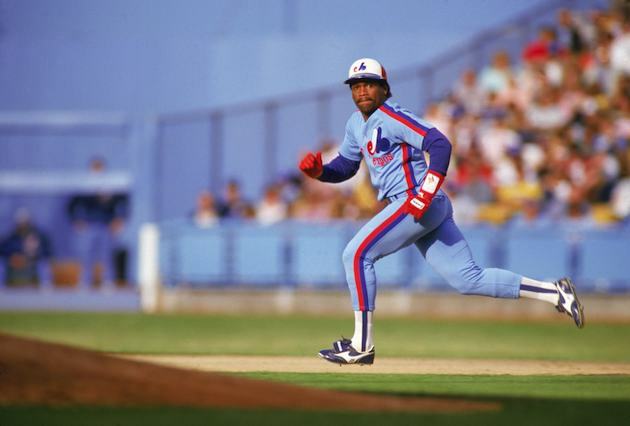 And if "Tim Raines wasn’t Rickey Henderson" is a reason for keeping a guy out, the Hall of Fame has, what, five guys in it? Luckily it appears a bump could be in order for Raines and with the possibility of 5 players getting in this year it could free up votes for future years. It might take a few more years, but hopefully the #RainesForHOF is not in vain. 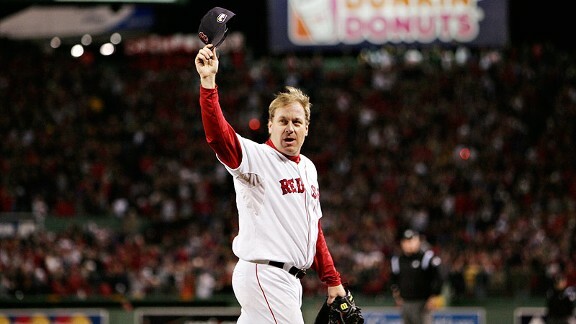 Schilling was a 6 time All-Star, 1993 NLCS MVP, 2001 World Series MVP, 4 times was in the Top 5 of the Cy Young award voting, 62nd all-time in career WAR(26th for pitchers), 15th all-time in career strikeouts(3116), and 47th all-time in career ERA+(127). All this from a guy who floundered in the majors until he was 25 in 1992 with the Phillies. Schilling the person might not be a guy who we would agree with on a regular basis(and definitely don’t argue evolution with him) but none of that matters when it comes to Hall of Fame voting. Schilling was a front line starter in the big leagues for 15 years and has the numbers to prove it. That is ‘Hall Worthy’ if I have ever seen it. 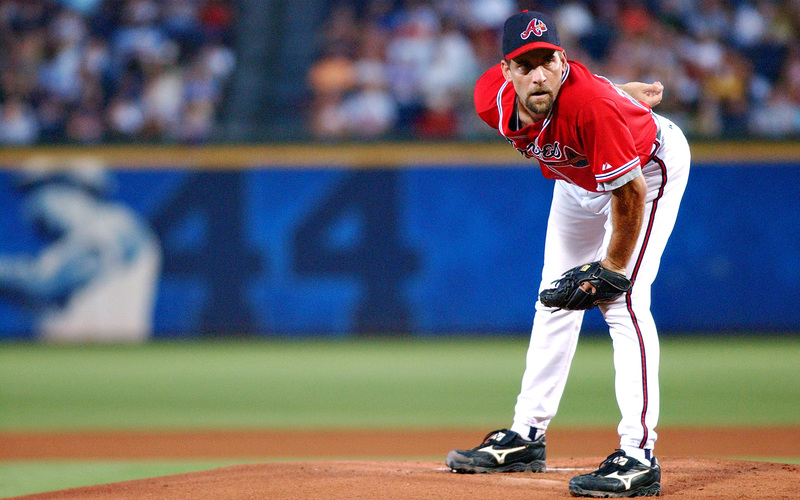 Smoltz accumulated 213 wins and 154 saves, which is quite the accomplishment for any pitcher. Add in a 2.67 ERA, .789 winning % in the postseason, 1996 Cy Young award winner(2 other top 5 finishes), 8 time All-Star, 1992 NLCS MVP, 66.5 career WAR(39th career for pitchers, 44th all-time in career K/9(7.992), and 16th all-time in career strikeouts(3084) and you have a nice resume when looking for induction. It’s easy to sit here and say that Smoltz wasn’t as good as former teammates Maddux and Glavine, but who was? It certainly doesn’t take away from a career that is certainly ‘Hall Worthy’. So there you go, my 2015 IBWAA Hall of Fame ballot. I had also given a decent amount of consideration to Jeff Kent, Gary Sheffield and Mark McGwire but alas I wasn’t quite on board yet for either of those three. What I can say is that it is never too late to judge each case and compare and contrast with other cases in the past. Sometimes our memory fails us and doesn’t paint the entire picture we need to fairly assess the situation. I can only hope the logjam that has accumulated the last few years eventually gets weeded out and some deserving candidates get the call they deserve. I can honestly say I feel as if I put together a list of players worthy of the greatest of all honors, a plaque at Cooperstown. It’s not a church folks; it’s a museum that tells us the history of the game we love. These 12 players help tell that story, blemishes and all.